School is out, Spring Break Sports Camp is in! Join BaxterSports for a single day or for the whole week and we guarantee our award-winning blend of sports training, mental focus, and good plain fun will keep your kids happy and active all break long. BaxterSports has been Portland’s leading sports camp for ten years and we are excited to bring a special version of our All Sports Summer Camp to the community this spring. We love spring because it brings the excitement of summer – just around the corner – without having to leave any of our indoor winter fun behind. We schedule a well-balanced blend of indoor and outdoor activities so kids can try all the sports we have to offer for a few days or over the course of the week. Every day, we mix our drills, free time, and game time to best accommodate for spring’s ever-changing weather. Nothing holds us back at BaxterSports. If it’s raining, you will find our active young athletes running, jumping, and shooting around inside a local gymnasium. For sunny days, our spring sports camp moves outside to a local community park. The all sports schedule changes every day and is easily adaptable to whatever Mother Nature has in store. Staying in Portland for Spring Break has never been more fun for kids, or more relaxing for parents. As one of the Directors at Sport Psychology Northwest, Brian understands the importance of training philological and mental skills while also improving physical skills. As a result of an awesome, fun-filled, all-sports week, our young athletes will not only play everything from soccer to Frisbee and capture-the-flag, they will also learn about nutrition, sportsmanship, and the importance of positive thinking. They will learn from coaches, teach new friends, and come together as a Spring Break team. Every day brings something new to try. Players who love basketball will discover new techniques and get lots of court time in large and small games. Campers excited to learn about soccer will find drills and practice time to get the fundamentals and then put them to use in mini-tournaments. Our indoor sports include soccer, basketball, capture-the-flag, kickball, and dodge ball, just to name a few. Outside, we have bigger fields, bigger games, and get to add sports like Ultimate Frisbee to our lineup. Players compete in races for speed and distance, practice hand-eye coordination, and learn fundamental skills for all of our activities. The staff at BaxterSports have combined decades of experience as community leaders, mentors, coaches, players, and parents, to create a truly unique camp for kids. We welcome boys and girls of all experience levels to come join our spring break team. 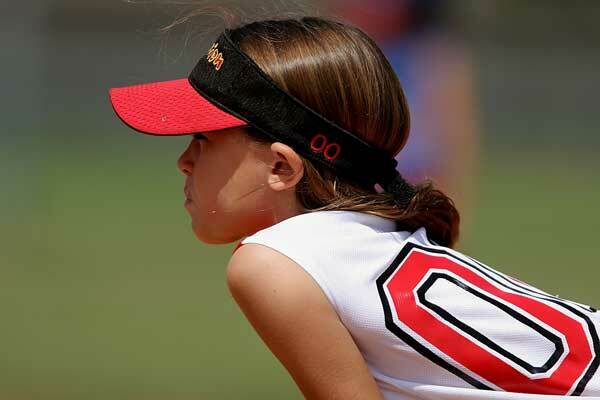 Age based groups of young athletes practice new skills and strengthen their current ones. Regardless of skill, we include everyone and encourage them play to their strengths. We want them to head home every day felling happy, healthy, and confident. Spring break means fun, freedom, and friends. Young athletes enjoy all of this at spring break sports camp. We support a well-rounded approach to sports where kids’ skills are matched by their healthy attitudes. Our thoughtful, tried-and-true balance of free play and structured game-time lets kids be kids and become better athletes at the same time. Every camp day runs from 9am to 3pm. Players have the option to join for half-days or full days, for a few days or the entire week. The sports we play depend on the weather, so although we can not guarantee a specific sport on a specific day of the week, we know the daily surprise adds to the excitement! Boys and girls of all ages will find they are having fun staying active over spring break and parents love knowing kids are keeping busy and staying healthy, especially when school is out. What drives us here at BaxterSports is our love of playing sports, a commitment to our team and our Portland community, and our belief that having fun and living a healthy life makes successful athletes. At our all-sports spring break bamp, we make this the focus of every day – sports brings us all together, regardless of whether basketball or football or kickball is our favorite. Our players respect each other as unique, passionate athletes. As coaches and parents, we love to watch the community that grows among our players as they share their skills and enthusiasm with each other.